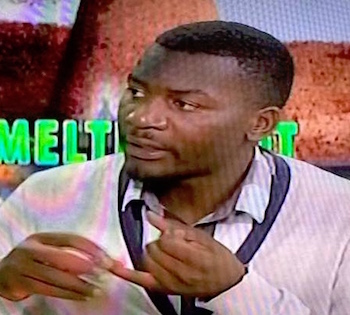 Summary: Makomborero Haruzivishe is a student leader and Secretary General of the Zimbabwe National Students Union (ZINASU); he has long played an active role in advocating for students’ rights, including enhancing learning conditions, reducing tuition, and gaining access to loans and grants. Some of Haruzivishe’s campaigns have challenged the government, and as a result he has been beaten, arrested and detained in the country’s notorious prisons. Profile: Makomborero Haruzivishe is Secretary General of the Zimbabwe National Students Union (ZINASU). He takes his responsibilities seriously, calling for—among other things—government funding for more modern facilities and infrastructure, the reduction of tuition rates, the granting of more financial aid, and students’ ability to more easily register to vote. Haruzivishe-led campaigns include the ‘Fees Must Fall’ campaign which saw hundreds of medical students protesting towards the reduction of tuition fees. Academic learning in Zimbabwe is very expensive and many students are struggling to make ends meet. The government stopped offering students loans and grants since 2006 and this has severely contributed towards the negative plight of thousands of students in the country. Of course, actions have consequences. His public statement against government corruption and his organizing and leading campus demonstrations demanding better learning conditions have not exactly made him a friend of the Government. His “Fees Must Fall” campaign was heavily squashed by the police and resulted in the forceful eviction of scores of students from the campus. In June, 2017, Haruzivishe and a fellow activist were convicted—falsely, according to Haruzivishe—of robbing two women; they were sentenced to 12 months in prison. Three months of the sentence was suspended on condition of good behavior, and the remaining nine months was set aside if each of them performed 315 hours of community service.